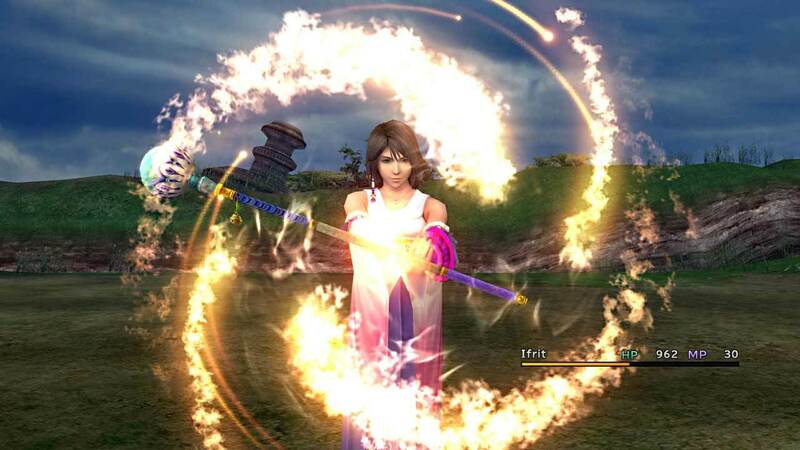 Back when Final Fantasy X-2 came out, it was pretty shocking to see Yuna’s dramatic, new character design. It may have even reminded you of a certain gun-toting adventurer long associated with the PlayStation brand. Well, as it turns out, that association was totally deliberate. Square Enix has been hyping up the release of Shadow of the Tomb Raider, and in Japan the western games published by the company have their own line called Square Enix Extreme Edges. This brand has its own Twitter account, and has been tweeting non-stop about Tomb Raider. A few days ago, Final Fantasy fansite Final Fantasy Union noticed a tweet featuring Yoshinori Kitase, whose credits as Director and Producer span a ton of classic titles in the Square Enix library. Kitase is holding up the original three Tomb Raider games, and provides a bit of fun Final Fantasy trivia. As it turns out, Yuna’s striking new look in Final Fantasy X-2 was inspired by Lara Croft’s whole deal, specifically from those first three games. The shorts and akimbo gun style was essentially a nod to those classic games, and it’s pretty fun to see things come full circle with Tomb Raider ending up as a Square Enix-published property. Now that I think about it, Kitase was producer on the Final Fantasy XIII series, which actually features some direct crossover content with the 2013 Tomb Raider reboot in Lightning Returns.